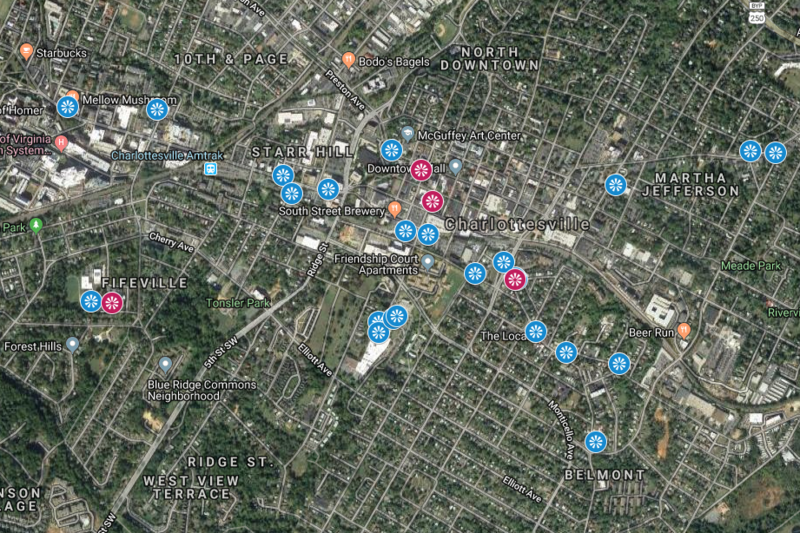 Click map image to view all of Cville's fantastic murals. All in one interactive map. A Program of THE BRIDGE Progressive Arts Initiative, the Charlottesville Mural Project showcases the talents of artists and designers while creating a more interesting visual landscape in the city.